As a national week of celebrating the most important meal of the day kicks off, one Telford business is looking to prove why a traditionally unhealthy food is now being celebrated as good for you. During National Breakfast Week, which runs from January 24 to 30, bosses at G. N. Badley & Sons are encouraging customers buying their ingredients for a fry up to add black pudding to their basket. The blood sausage has been tipped as the ‘superfood’ of 2016 for it’s health and nutritional benefits – joining the ranks of kale, quinoa, blueberries, avocado and pomegranate. It is being promoted as a great source of iron, potassium, calcium and magnesium. And Kay Badley said they’ve seen more orders for it at their butchers in Gibbons Road, Trench. 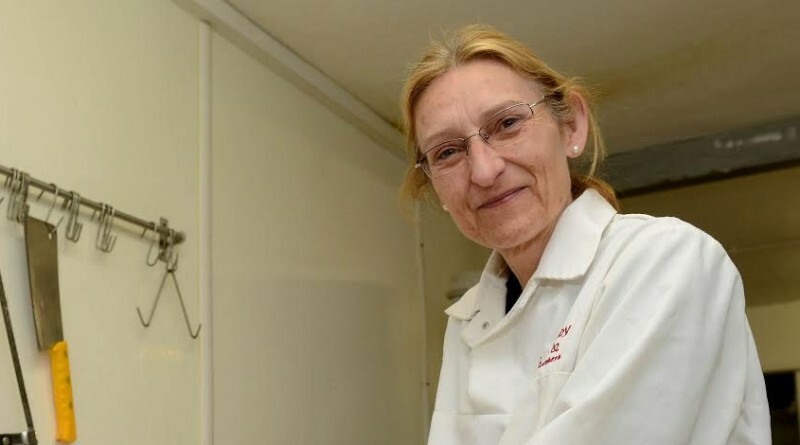 “People usually come to us for their dry cured bacon and hand made sausages in a fried breakfast, but we’ve seen a few more enquiries for black pudding recently,” she said. The family butchers will offer 15per cent off 500g of homemade black pudding until the end of National Breakfast Week. The sausage, which traditionally forms part of a fried breakfast in Scotland, can also be used in scotch eggs, pizza, roasted meats and salad.